We're finally approaching the first NHL All-Star Weekend since 2012 and what a first half of the season it's been as we hit the unofficial halfway-point of the NHL season. There's been more than a few surprises during the first half with many teams having outperformed their pre-season expectations and that is going to make for a very exciting finish to the 2014-15 campaign. It's always fun to look back at what the odds in September were and how drastically some have changed this far into the season. Having seen how teams have played with a half season's worth of games under their belt you can get a good feel for what teams might be hanging banners in their arenas next season. 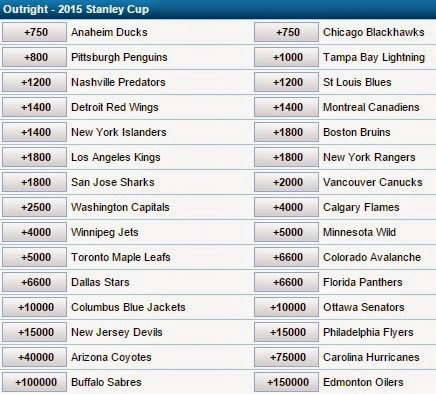 With that said, if you're into putting some money on NHL futures, there's some great ice hockey betting welcome offers from William Hill on the table to check out! Starting with the divisions, you still have some tight races and plenty can change in the last two months with more divisional games being played allowing for some of those wild card sleepers to sneak in and win the division. Montreal are the favourites with 61 points and 3 games in hand over the division-leading, Tampa Bay Lightning. They've got balanced scoring and are tied for 2nd in total goals against thanks to Carey Price - they're legitimate threats if Price can maintain his spectacular play. Tampa are an Atlantic powerhouse however and with a 10-2-2 record against their division you have to like their odds down the stretch of claiming their 3rd division championship with Steven Stamkos heating up and Ben Bishop returning to form. Detroit has been a pleasant surprise all season and have quietly entered the division race with a 27-11-9 record and 63 points. They have a great mix of veterans and young talent to guide them to the playoffs and should gain ground following the break with starter, Jimmy Howard, returning to active duty. Boston is a solid sleeper at this point despite a slow start out of the gate. With 15 out of a possible 19 points earned in 2015 they are back in the division race and looking mighty dangerous heading into the second half. The Metro Division has plenty of intrigue as we approach the 50-game mark. The New York Islanders hold a 4-point cushion for the division lead and are a stellar 15-2-0 within the division. 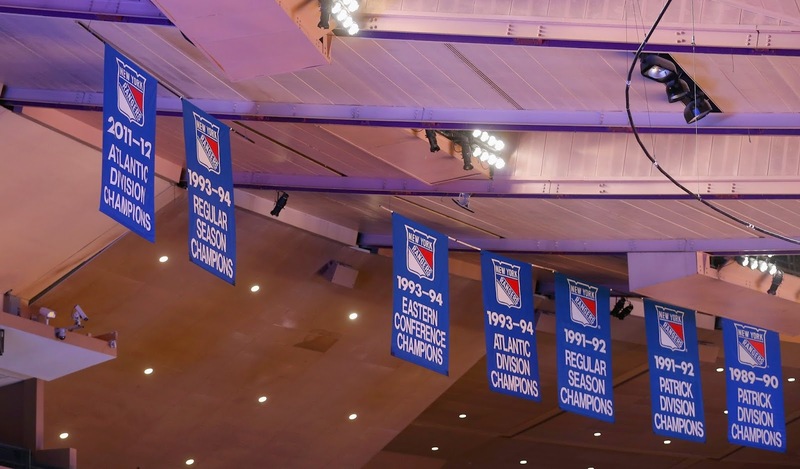 They're playing like it's the 80s and could be hanging one more banner in the Nassau Coliseum before moving out of the arena. The Penguins are favoured, but have faltered of late due to injuries and despite having Crosby and Malkin on their roster they just don't have the depth this year. They'll be in the playoffs where anything can happen, but this team just isn't built like their Stanley Cup winning roster. Depth is one thing the Rangers do have and they are great threats to win the division over the next three months. With all lines contributing and Henrik Lundqvist shutting the door in net, they hold the second-best division record at 13-3-1 and have the experience to win key games come late March and April. The Washington Capitals are an interesting team as they've got the star power and scoring depth, but have had defensive cramps that often end up in high-scoring affairs. If Holtby can make the saves the Caps will win games with their Ovechkin-led offence - simple as that. The toughest division in the NHL is also the toughest to handicap with four strong contenders for the division crown. Nashville has been near the top of the league all year and are still picking up points despite Pekka Rinne injured. The Preds best player thus far has been 20-year-old rookie, Filip Forsberg, and it will be interesting to see how the club handles the stress of a big playoff push. St. Louis trail the Predators in the standings, but are one of the hottest teams in hockey right now and looking like a different team that slumped earlier in the season. With an all-star lineup, the Blues are simply too good not to win one banner this year. Chicago is the favourite to win the division and sit just 3 points out of the division lead. They have the championship experience and incredible depth at all positions, but it will come down to them gaining ground on their division rivals. Another all-star lineup, the Hawks have had their struggles in the crease and that will be the difference moving forward in the season. The Winnipeg Jets are looking to make the playoffs for the first time since moving back to the city in 2011 and are challenging for the division title with 60 points on the board. Spectacular goaltending has them in the running and they'll have more than enough opportunities to gain ground with multiple games remaining against those teams in front of them. The Pacific Divison is the least enthralling of the four, but still one to watch with powerhouse teams waiting in the weeds. The Ducks hold a 12-point lead over the 2nd place San Jose Sharks and have picked up important points against the Pacific Division to the tune of an 10-3-5 record thus far. They look to be in control of the division at this point, but haven't clinched anything yet as the Canucks and Sharks battle it out for 2nd. Both of those teams will have to work on their consistency if they want to gain ground on Anaheim, but it doesn't appear as though they'll have a chance unless the Ducks somehow fall apart. The Flames are a nice storyline to make the postseason, but we don't expect them to challenge for the division given their propensity to allow so many shots against. The way they are going now with Joni Ortio between the pipes has them back in the hunt and if they can continue to get some puck luck they could challenge the Ducks. The Kings sit 16 points out, but unless you have short-term memory loss you know they always turn it up in the spring for a playoff push and deep playoff run. Noteworthy of the Kings is their 12 OT/shootout losses - that's a league high and could be a sign of just bad luck early on that could mean this team is much better than the standings show. They're a big gamble, but they've heated up in the last two months of the season before. Looking at the broader picture, we have some interesting conference championship races to keep an eye on as well. We're still big fans of Tampa to win the conference and you have to like them at +550 given their scoring and defensive depth. The Boston Bruins hold the 4th best odds despite sitting 8th in the conference and 7 points out, but they are surging and shaking off their early season rust. If any team can leapfrog up the standings it's the Bruins. The Islanders are looking like the real deal and at +750 they're worth the gamble. They're hot right now and finally John Tavares and Co. have some goaltending to win them games - it's a good mix for a potential conference champ. The Rangers catch our eye at +800, especially because we're liking them to win the Metropolitan Division. Just 6 points out of 1st in the East with games in hand? Why not sprinkle some coin on the blueshirts? Just like the Central Division, this conference championship could belong to numerous teams. Chicago (+40), St. Louis (+37), and Nashville (+33) boast the 3 best goal differentials in the league and our money is on one of those three to win the conference at seasons end. The Preds have the best odds of the three and are worth a look while the Blues still remain our favourite to win the Central and beat out Chicago and Nashville. If you're a Winnipeg Jets fan and the ultimate believer then you're thrilled with +2800 odds. Take back your empties and throw that extra change down on them to do the unthinkable. Now for the biggie, Lord Stanley's Cup. This year there seems to be more contenders than previous years for the Holy Grail of Hockey and we're liking four teams in particular. Chicago is the co-favourite and rightfully so. One goal away from making the Cup Final last year and most likely repeating if they had, the Hawks have a championship roster yet again. The St. Louis Blues simply look too good on paper to ignore as a legitimate contender and their play this season has us believing this could be their year. With three scoring lines and a star-studded blueline, the only question mark is in net. If they can get above average goaltending for two months they have the tools to win it all. We're still liking the Lightning and Rangers to emerge from the East and duel it out for the Conference Championship and both have great odds at +1000 and +1800 respectively. They're similar teams with great scoring depth and solid defence starting with their goaltenders. It's going to be a great finish to the season and if you picked your teams right you could be enjoying the playoffs with a heavier wallet! I have a feeling the Jets are going to have a deep playoff run. They remind me of the Bruins of a few years ago. I'm going TB all the way. 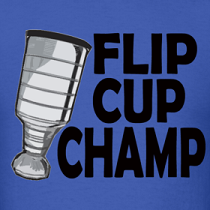 Stammer hoistin' that Cup.